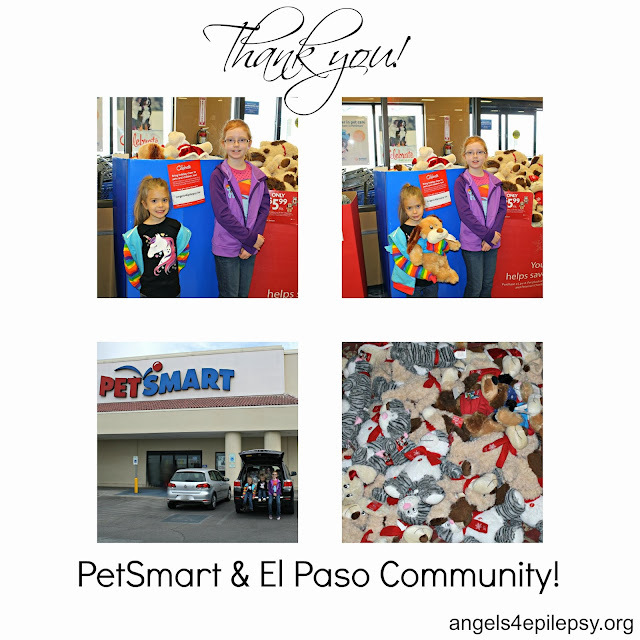 A BIG thank you to PetSmart and the El Paso community for the 58 stuffed animal donation to Angels4Epilepsy. For a limited time, people can purchase a stuffed animal at PetSmart to be donated to the designated charity for that particular store. Animals can be donated to us at the Sunlake Park PetSmart store in El Paso, Texas. I think we will make many El Paso children happy this Christmas! Thank you again #PetSmart,#ElPaso and the Good360 project!